Thank you for the great tender, loving care you provided for my father. It is very evident that you love your job! Great, great quality, professional service. We recently had an emergency situation that necessitated the hiring of a private R.N. to come to our home every 8 hours of every day for two weeks to administer an IV infusion to my husband. SCMS was seriously the answer to our prayers. Being a retired professional, I expected the best......and received that !! Melissa was professional, responsible, knowledgeable, ALWAYS on time and gave us the confidence we needed to put our trust in her very capable hands. I would give this company and Melissa 50 stars if I could. After my second knee surgery, I required in-home care. I was fortunate in that Melissa J. was the RN sent to me. This wonderful, caring and gentle lady came to my house twice a day, most days. Since I had a power picc port , she administered antibiotics each morning and evening for 90 minutes each time. She tended to wound care of the surgical site and the bloodied blisters that developed after surgery. She flushed the port each day before and after infusion. She bandaged the knee each day after cleaning it and applying medication. She took vital signs every day and made suggestions for my care whenever necessary. She was , in one word, WONDERFUL. I was sent this angel by God and feel very indebted to her for my recovery. Senior Care Management Solutions came highly recommended following a lengthy hospitalization. I was sent home with a new ostomy, a wound from an amputation and an IV. My family and I were not sure how we were going to manage my care. Upon my arrival home, employees from SCMS were waiting for me. SCMS stayed by my side throughout my recovery. Melissa was my nurse and case manager. In the beginning she was visiting me twice a day to take care of my IV and ostomy. Melissa also took care of all of my medications, scheduled my doctor's appointments, took me to my doctor's appointments and ensured I got the care I needed, while also managing all the different people/agencies that were involved in my care. Melissa listened to what was important to me and made sure that I was her priority. There were many people that were not sure I would recover, but I thrived and became more and more independent. This of course meant that I needed Melissa less and less. I miss seeing Melissa everyday, but know that if I ever need help, she (and SCMS) will be by my side. SCMS is a wonderful company. I say this because I have had the pleasure of working with Melissa and several of her caregivers. I was having issues with another caregiver company and was at wit's end as I could not get caregivers from the company who could provide the care my wife needs. I was told of Melissa's company and contacted her immediately. Melissa came out and assessed my wife and set up a caregiver, Karina A., who has been our primary caregiver for over three months now. Karina has been a real angel and takes care of my wife's every need. She works with me extremely well and I trust her implicitly. I cannot give enough praise to her and to Melissa. Aside from her regular needs, my wife had an event that required more help, including a few round-the-clock days before my wife stabilized. Melissa rallied her staff and provided other fantastic caregivers that were very professional and happy to jump in and help. I know I can rely on SCMS and Melissa for my wife's care, no matter the situation. That has given me peace of mind and confidence that I can get the help I need whenever I need it. SCMS is outstanding !!! We appreciate your kind review. I think I can speak for everyone at SCMS when I say that caring for your wife has been an absolute pleasure. Your gentle attentiveness has provided an exceptional environment for our staff. We look forward to continuing to care for your wife. We hired Melissa at SCMS to help us navigate getting care services for our dad at a time of crisis. We live out of state and had no family or friends is his area that we could call on for help with this process. Melissa was a godsend. She is professional, knowledgable, thorough and caring. Dad really appreciated all she was able to do for him, and for us she provided real peace of mind. Dad has moved to Assisted Living near us now, but in the interim, Melissa's help over the last year was invaluable. I recommend her highly to anyone looking for geriatric care management and in-home nursing. Thank you for the wonderful review. It has been my pleasure being a part of your dad's team. 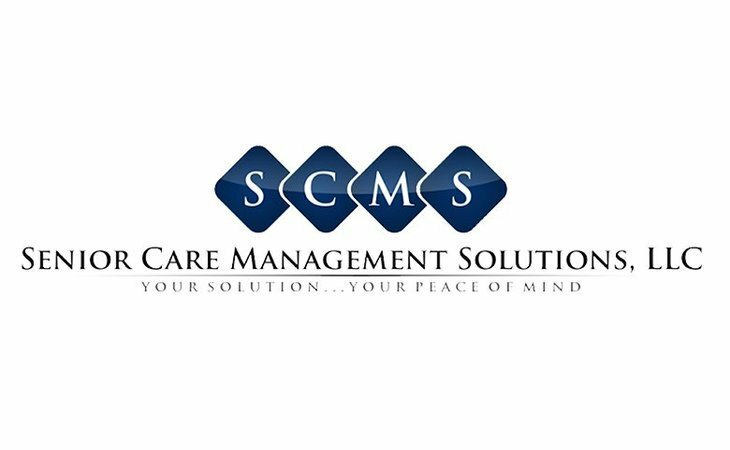 Senior Care Management Solutions (SCMS) mission is to provide high-quality specialized senior services throughout the continuum of care, to encourage safe aging in place and provide peace of mind to loved one. SCMS provides Aging Life Care Expertise/Geriatric Care Management, which is a process of assessment, care planning, monitoring, support and advocacy for an aging person who is struggling to have all care needs met. The services provided are tailored to meet the specific needs of the client and their family. After a thorough assessment, the Aging Life Care Expert/Geriatric Care Manager reviews the care plan and recommendations with the client and family to ensure the plan entails the desires and goals of the client and family. Family members that live out of state or have busy lives find ease in knowing that care needs are being met and that the care manager is also available for support, education and communication for themselves. Thorough assessment with the development of a care plan. The care plan is a map of what services are needed and how the client's quality of life may improve. Some families choose to engage a care manager for the assessment and care plan, which they use to provide needed care. Transportation to and from physician appointments with advocacy during the appointment. The care manager's extensive knowledge allows communication with the physician in a manner that maximizes each visit and ensures the client is getting what is needed. Updates on appointments are provided to family members. Medication management. Our care managers are also Registered Nurses and are able to fill medicine boxes, monitor medications, refill medications and communicate changes with the physician. Gain resources in the community to compliment care. A care manager is responsible for knowing resources in the area and providing resources as needed. A care manager also has knowledge about insurance and engage resources that are covered under insurance as needed. Another set of eyes and ears for the family. It is much different visiting with someone than talking on the phone. Having a care manager present can provide family with a lot of information about how they are managing. What should caregivers and potential clients know about Senior Care Management Solutions, LLC?